Timehop: What did you do 3 years ago today? I love the Timehop app! It’s so fun to look back on old pictures and post. However, it is difficult for me to look at timehop this time of year. 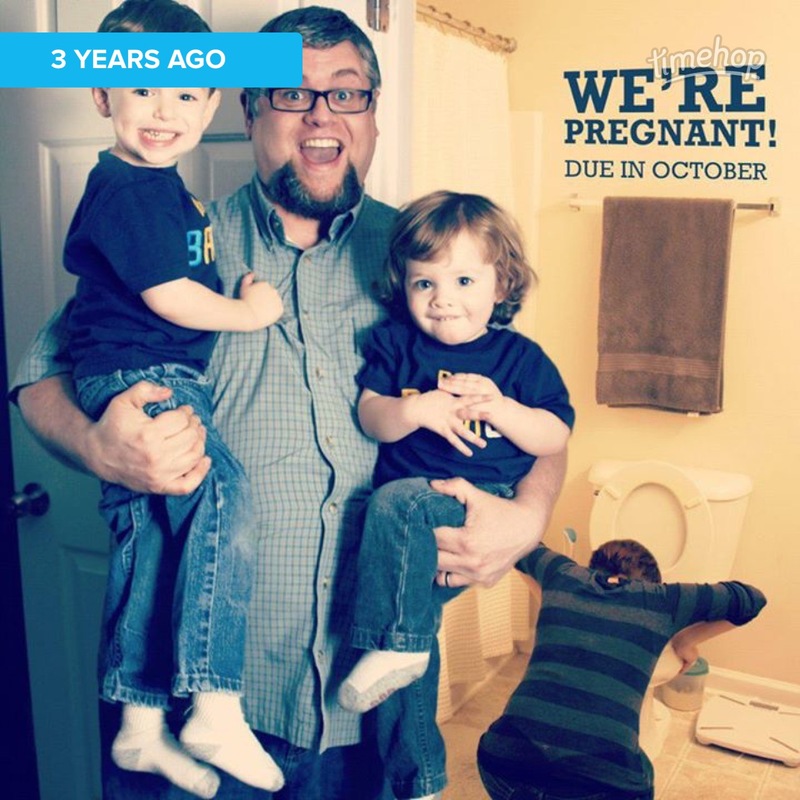 3 years ago, I was announcing my 3rd pregnancy. We posted this funny picture 3 years ago today. Every year it’s hard to look at this picture because I never met this baby. I lost this baby at 14 weeks. Every year I think about deleting this picture, the ultrasound picture that will post in a few weeks, and the many posts where I complain about how tired or sick I was during this pregnancy. I think about just deleting the app during this time, so I don’t have to relive the pain. But this year I have decided to embrace it. These are the only memories that I have of my 3rd baby, Ansley. This year I actually laughed when I looked at this picture. Every year the pain is less and less. I haven’t gotten over it or moved on or forgotten about this pregnancy and baby. I’m just learning to embrace it and look back on the few memories that I have from this pregnancy. This doesn’t mean that I won’t cry over the next month as I see these memories (or cry as I’m typing this). I have learned that this is my story. I’m not sure if I’ll ever fully understand why I had to go through this, but every year I grow a little more. I’m grateful for a memories I have of my baby. This announcement picture, an ultrasound picture, my necklace with the baby’s name (along with my other babies), and my tattoo. I also remember that one day I will meet and hold my sweet baby. Today I choose to embrace my story.